Who will you be on Cloud Nine? 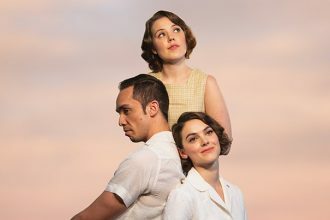 STC’s artistic director Kip Williams has created a production that sees thought-provoking characters break through the walls of gender, race and time. Cloud Nine, in its entirety, covers two continents and two different centuries. However the timeline between Act I and II, only ages the characters by 25 years. The actors, who play characters appearing in both acts, also swap roles. For example, in Act I, Harry Greenwood plays Betty, the discontent wife of Colonial Administrator Clive. In Act II, an older Betty who is now a recently divorced woman rediscovering the joys of sexual liberation and financial independence, is played magnificently by Heather Mitchell. Greenwood’s portrayal of Betty is captivating and flawlessly comical. While funny, there is an implied sadness to her character, a yearning to conform to the standards expected of her that she never actually attains. In my view, he is the star of the show. The attention Greenwood commands from the audience in Act I and his expression of older Edward in Act II is hard to fault. 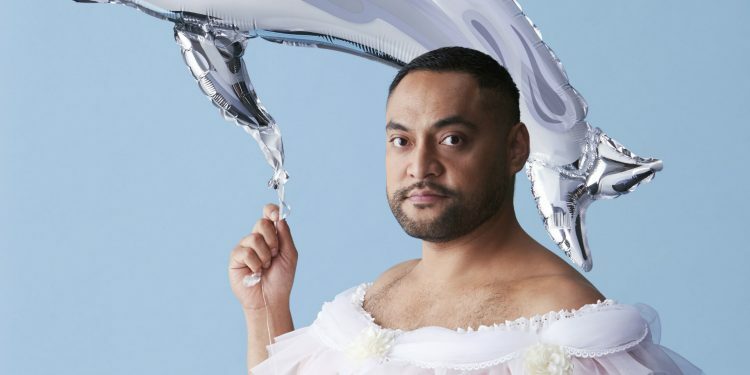 Anthony Taufa does a fine job playing Harry, the catalyst for most of the characters search for something better on ‘Cloud Nine’. Whether it’s nine year old Edward’s confusion about his sexuality and the standards he is expected to live by, or Betty lusting after Harry for an extra-marital affair, or the Governess’ closeted lesbianism shut down by her rushed marriage to Harry. He superbly ties into each of the characters stories in the first Act. “What men want is what I want to be”, is a recurring belief held by a number of these characters at the beginning of the play. It’s a submissive and sheltered realisation that also enables the characters to attempt breaking away from this forced normality and dare to (or at least attempt to) find a happier more meaningful existence. It’s interesting that these themes, while controversial in the late 1970’s when the play premiered, still add a rich texture to the characters development and allows us as an audience in 2017, to empathise with them. The ability of Kate Box to effortlessly (and quickly) transition from Mrs Saunders to Ellen the Governess in Act I, from scene to scene, is a true credit to the actor’s skill. Her portrayal of Lin, a school mum in Act II who is sexually attracted to the adult Victoria, is a trifecta for Box. 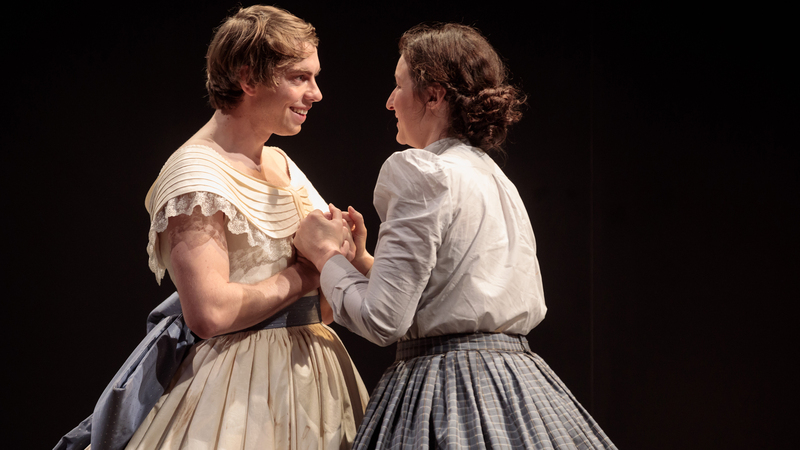 Matthew Backer plays a sexually driven Gerry in Act II, but it’s his portrayal of Joshua, a sinister and malevolent white-washed servant in Act I, that is a testament to the actor’s skill. The audience empathise with him, yet simultaneously dislike his treatment of Betty and Edward. While Mitchell’s portrayal of an older Betty is without a doubt the role she was born to play, she is at times slightly out of sorts as a younger Edward (perhaps just Mitchell’s interpretation of a nine year old boy). Yet a scene in Act I, where Edward stands up to Joshua in defence of his mother, is a true compliment to Mitchell’s ability. 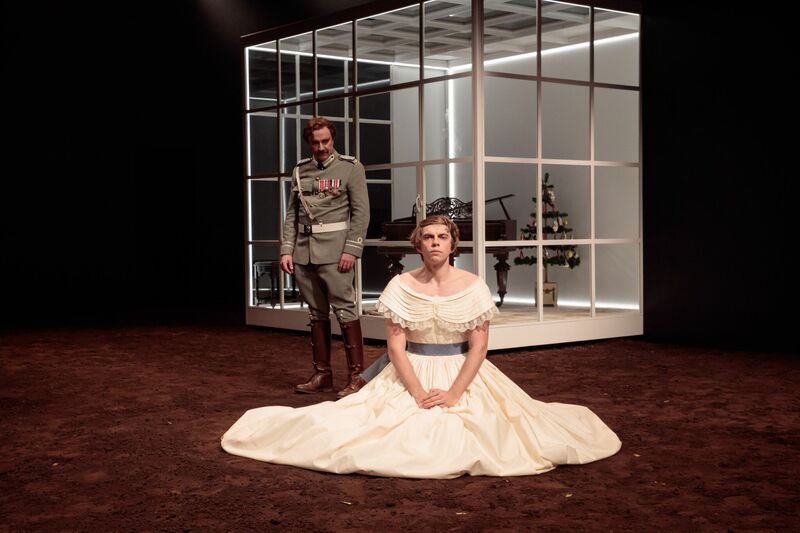 STC alumni Josh McConville and Anita Hegh complete the cast and Elizabeth Gadsby’s simple set design highlight the skill of this incredible cast. 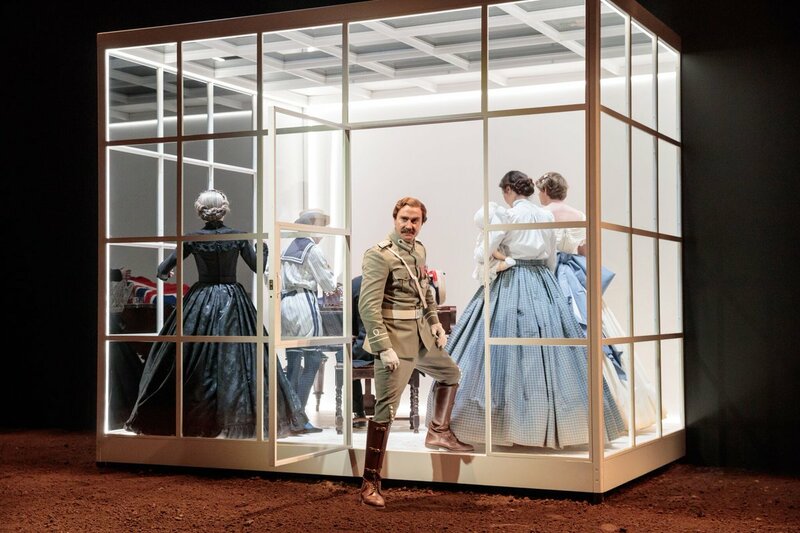 Act I consists only of a glass panelled cube in the corner complimented by a red dirt stage. Act II see’s the glass cube return, this time surrounded by thick green turf, resembling a London park land. These basic sets are an adage allowing the audience to concentrate solely on the characters and their progressive stories. 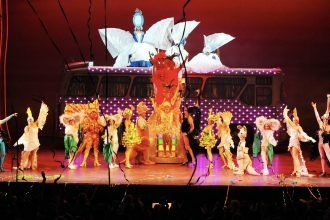 The theatre uses a black-out technique to change sets and it is phenomenal how efficiently these changes occur..
For more info on tickets click here.